Sunshine Kelly | Beauty . Fashion . Lifestyle . Travel . 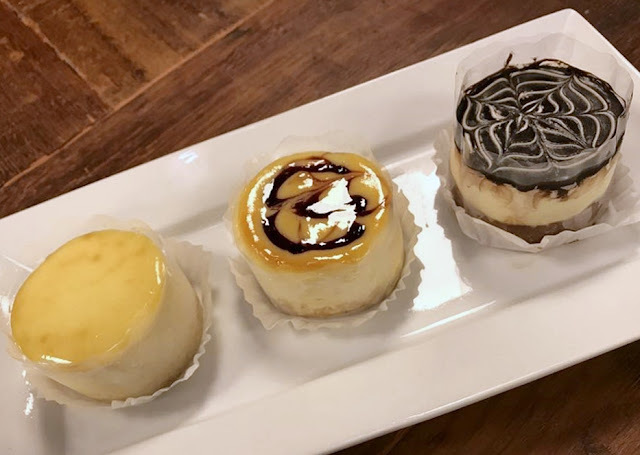 Fitness: Top 5 Dessert Spots in 1 Mont Kiara, Dessertholics’ Heaven! Ngaw! Dessertholics you ready for some drooling moments? 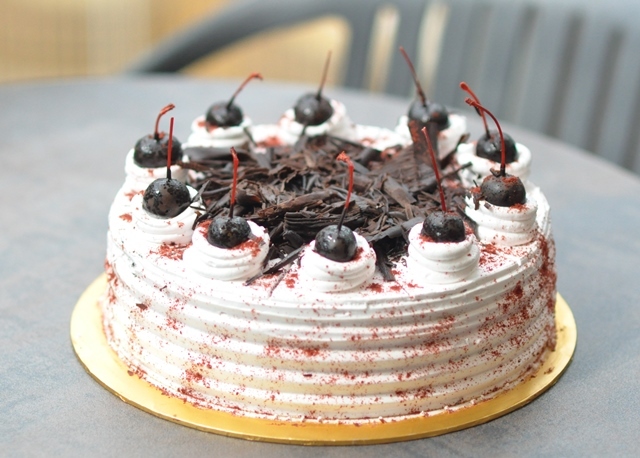 Sometimes I need desserts to keep me sane, de-stress, make me happy, satisfy my cravings and its life simple pleasures. 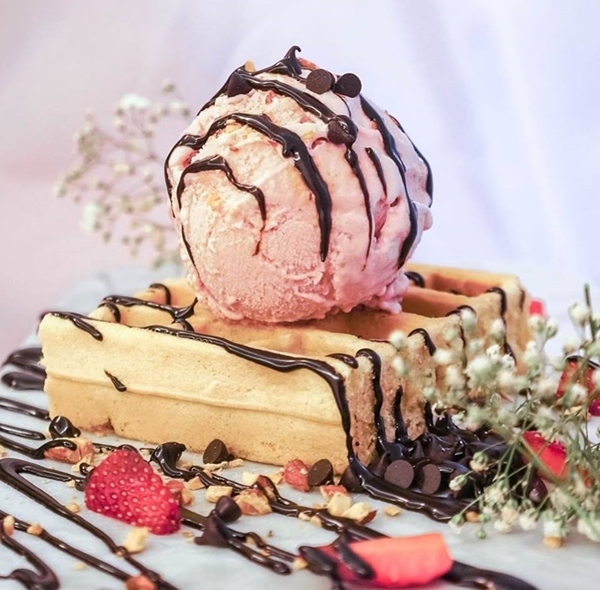 If you love desserts too be sure to check out the Top 5 Dessert Spots in 1 Mont Kiara, Dessertholics’ Heaven! 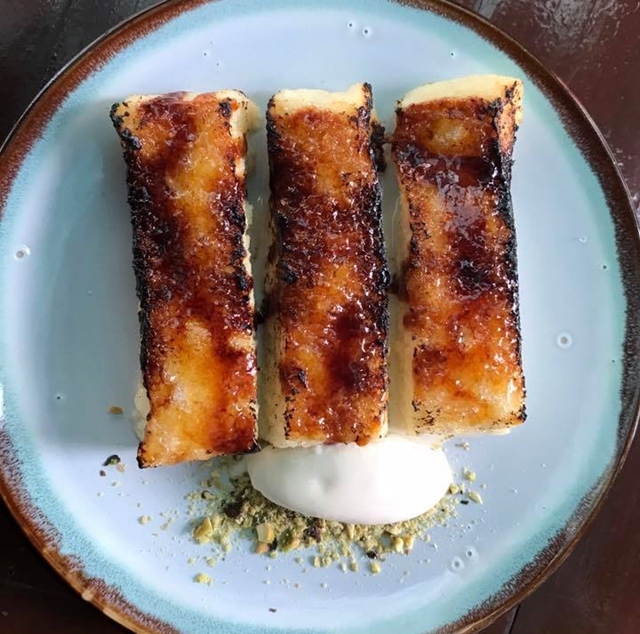 Here are the top 5 dessert spots in 1 Mont Kiara that you might not want to miss out. Let’s start! Yuhuu!!! 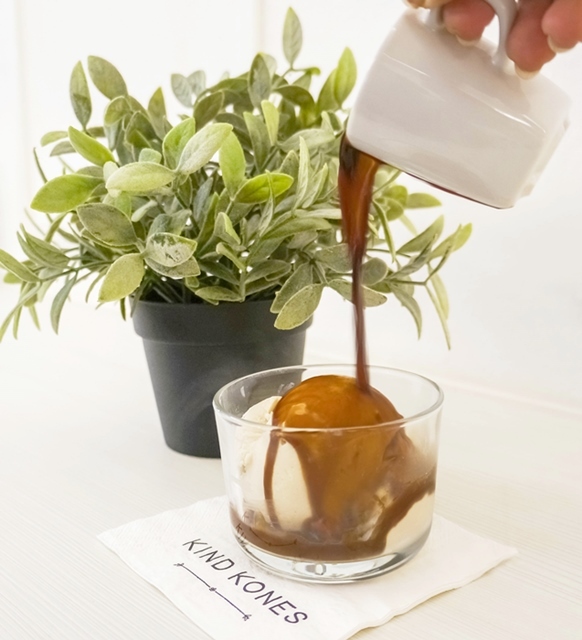 Kind Kones is Malaysia's first vegan, all-natural ice cream scoop shop. Finally! And yay to those on vegan diet. 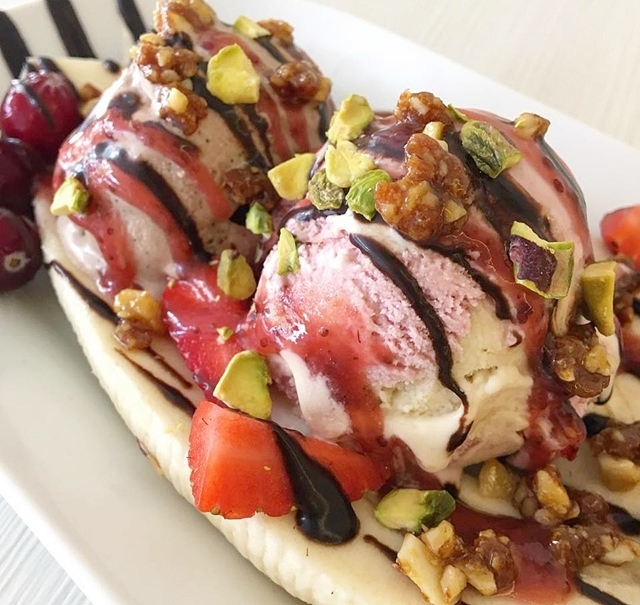 All their ice-creams and desserts are housemade, chemical-free, dairy-free and refined sugar-free. Enjoy the pleasures without guilt! Let’s go there after gym, shall we? 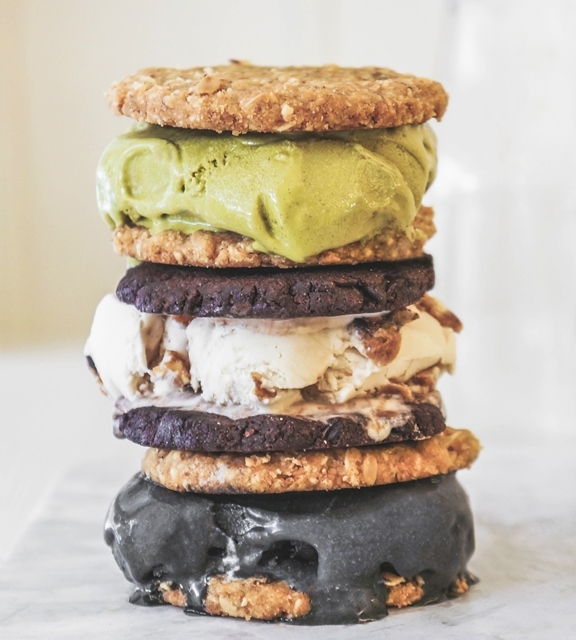 A scoop of ice cream of choice sandwiched between 2 gluten-free & vegan cookies for the perfect pick-me-up indulgence. A decadent scoop of French vanilla bean ice cream with a shot of espresso poured over. 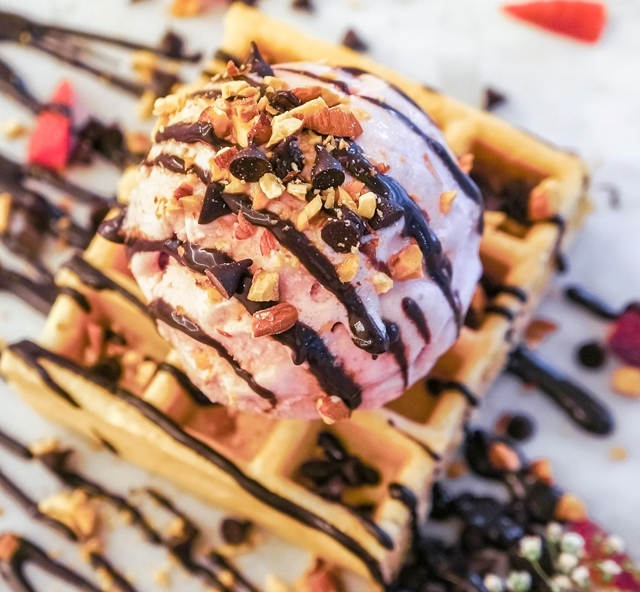 A double scoop served with banana, sprinkled with toasted almonds, and drizzled with chocolate fudge sauce and strawberry chia jam. 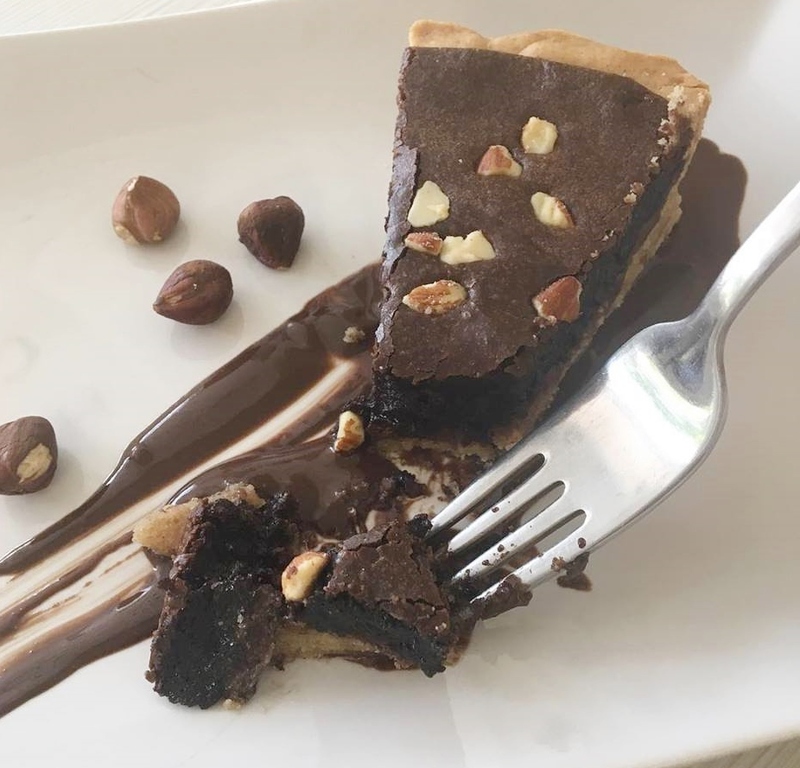 It’s a double layer cake: one part homemade Nutella and the other part, a semi-sweet homemade chocolate filing over a gluten free crust. A twist to the classic snicker bar- these bars are layered with peanut butter, tahina, rolled oats, cacao and coconut oil. A place where you can find good food, drinks, ambience, music and not to forget desserts to seal your meal. 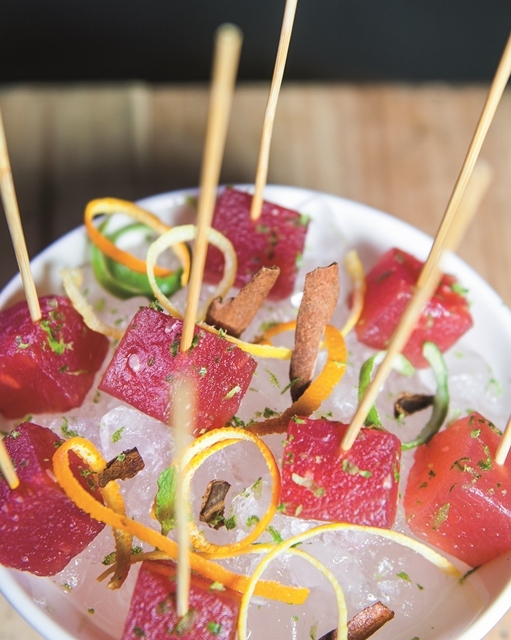 Mercat Barcelona Gastrobar bringing the food of Barcelona’s city markets to us. 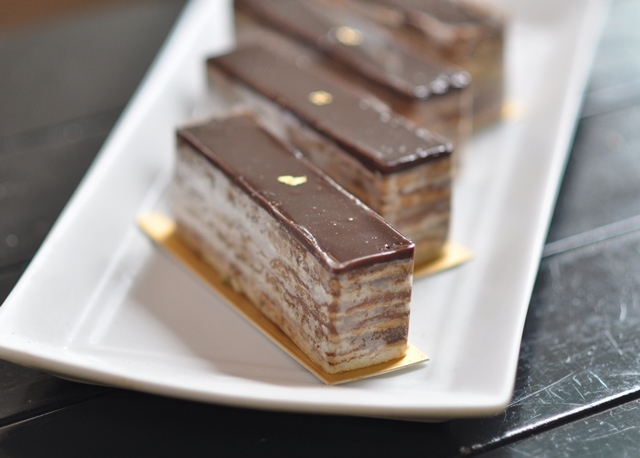 Serving modern to classic Spanish cuisine and check out their irresistible desserts too. 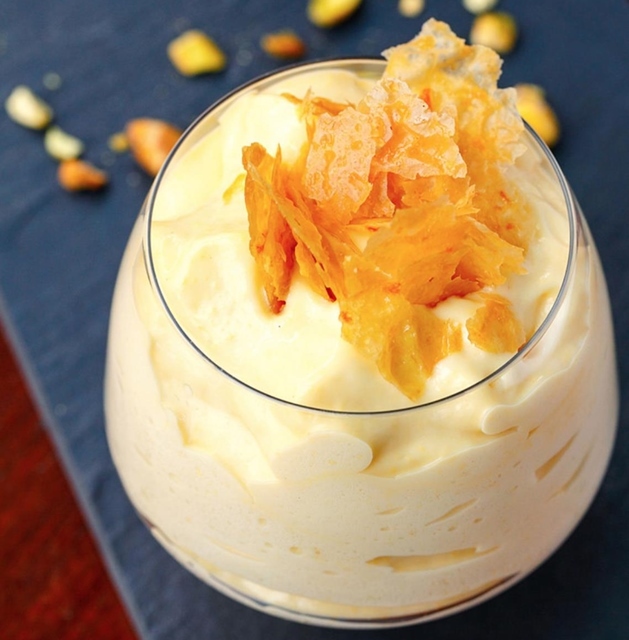 Catalan cream foam with crisp orange sugar top, my comfort kind of dessert. Watermelon infused with sangria; great dessert on a hot sunny day. Soft and sweet hot bread with vanilla ice cream, goes so well with coffee. Get your healthy pastries with uncompromised taste and also it’s a conducive dessert spot to chill, featuring more than 50 delectable treats at PastryVille. Their bread and pastries are freshly baked every day using French baking techniques. O’Coffee Club, a great spot to catch-up with friends over a cup of good coffee at the same time savouring some heart melting desserts. A refreshing casual comfort-food dining experience. Surrounded by lush greenery, Will You Café is a unique commercial café with multiple functions. The café also provides cookery classes to students from the Upward Learning Centre and the Centre for Special Needs Education. All profits generated from the café are reinvested back into education initiaitves, and programs for children from marginalized communities. 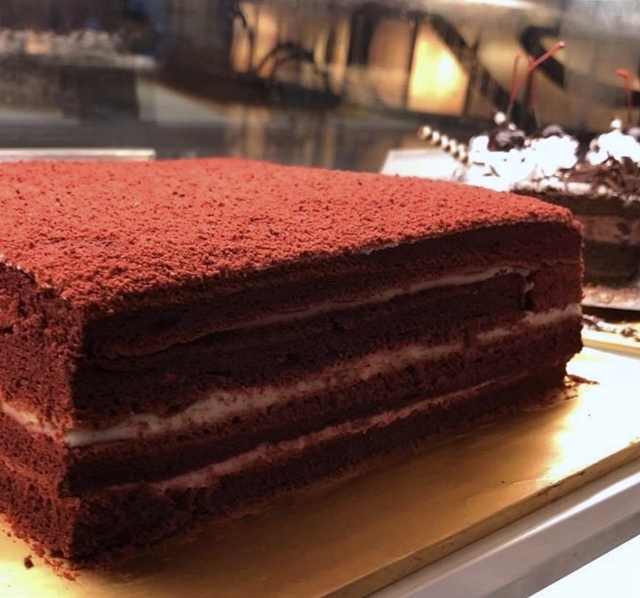 By the way, you can also date your mom out for some treats and playtime at 1 Mont Kiara. There are many fun activities going on. 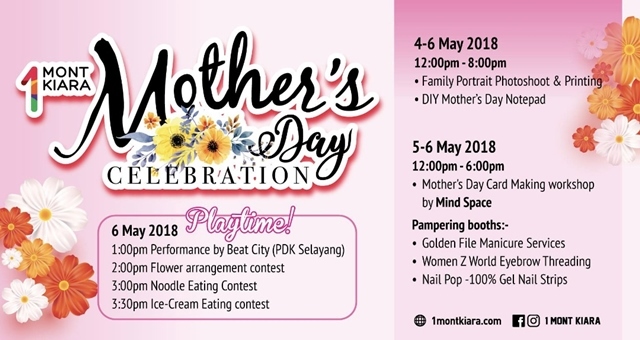 Celebrate Mothers’ Day at 1 Mont Kiara from 4 th to 6th of May, 2018.